MyTaq™ One-Step RT-PCR Kit has been designed for extremely sensitive and highly reproducible first-stand cDNA synthesis and subsequent PCR in a single tube. The kit contains the latest advances in buffer chemistry, including Bioline ultra-pure dNTPs, together with a proprietary reverse transcriptase and MyTaq HS DNA Polymerase which is our next generation of very high performance, antibody-mediated hot-start DNA polymerase. This ensures that MyTaq One- Step RT-PCR Kit produces fast, highly-specific and ultra-sensitive products for downstream applications. MyTaq One-Step Kit consists of reverse transcriptase, 2x MyTaq HS Mix and the potent RNase Inhibitor RiboSafe, that are blended to create a simple to use all-in-one mix. 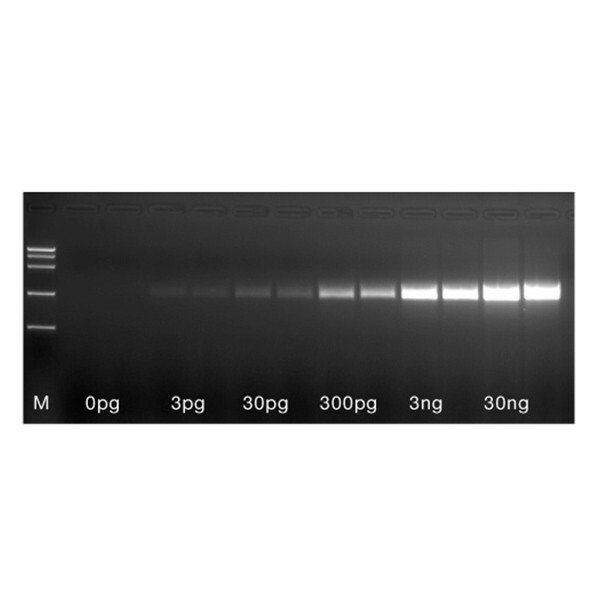 The kit is ideal for determining the presence or absence of RNA templates and quantifying expression through qualitative, semi-quantitative or quantitative analysis of RNA transcription levels, and the one-step format is also perfect for the synthesis of double stranded cDNA products for subsequent gene expression analysis. The cDNA can be synthesized with starting amounts of RNA template from 3 pg to 1 μg, over a broad temperature range, and up to 50°C to overcome secondary structure and GC-rich sequences), prior to heating to 95°C to inactivate reverse transcriptase and simultaneously to activate the MyTaq™ HS. "When we compared the performance of our routine supplier’s RTase against Bioline’s MyTaq One-Step RT-PCR, the other supplier’s RTase gave two false negatives in five different grapevine samples tested for Grapevine rupestris stem-pitting-associated Foveavirus. We were convinced to immediately switch."